Islak koşullarda açık ara en iyisi, en kısa fren mesafesi ve suda kızaklamayı harika şekilde önleme. Islak yollarda neredeyse mükemmel yanal direksiyon hakimiyeti. Islak koşullarda yeni standart. ve testte en iyi ıslak fren performansını sunar. Bu, çok güvenilirdir ve kuru koşullarda kontrol edilmesi kolaydır. Islak yolda açık ara en iyisi: hızlıca durur ve suda kızaklamayı önler, mükemmel direksiyon hakimiyeti sağlar. Lastik tüm yüzeyler üzerinde yüksek performans gösterir. Islak koşullarda ve arazide, örnek teşkil eden tutuş kalitesine sahiptir. Ayrıca konfor açısından da övgüye layık görülmüştür. Islak yolda mükemmel frenleme ve direksiyon hakimiyeti. Performans seviyesi ıslak yolda, suda kızaklamada, devrilme direnci ve sürüş gürültüsünde de yüksektir. 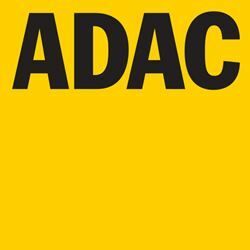 Lastiklerin yakıt tüketimi ve ayrıca aşınma performansı iyi. Kuru yolda çarpıcı ve kesinlikle yenilmez. Kuru yol koşullarında kısa fren mesafesi ve şerit değiştirme testinde çok yüksek sürüş dengesi. Kuru koşullarda çok güvenli direksiyon hakimiyeti. Islak yolda frenleme, suda kızaklamayı önler ve ıslak yolda direksiyon hakimiyeti mükemmeldir. Very good wet braking and wet handling, good aquaplaning characteristics. Also praised for good dry braking, dry handling and excellent rolling resistance. Good braking properties, both wet and dry braking. Above average rolling resistence and dry handling. Very good aquaplaning resistence, handling on dry and wet is reliable and precise. Also is praised for low rolling resistence. Good driving characteristics as well as braking grip in wet conditions. Also good handling properties and precise steering response on dry surfaces. Low noise level and rolling resistance. Easy to drive on wet. Logical and unsurprising also on dry. The best in test in speedy changes of direction. Best aquaplanning prevention of all tested tyres. Handling properties on wet asphalt on hig level. Easy to drive and well-balanced. Among the most silent tyres. Very good braking on wet and dry asphalt. Has no weaknesses. Low noise level and rolling resistance. Safe and easy to drive both on wet and dry roads. Excellent handling. The best braking performance on wet of all the tyres tested. Silent and comfortable. Offers a nice and precise driving experience, makes the drive feel fun and safe. Good brake grip on both dry and wet surface; does not really have any weak points. On the highway, makes almost no noise and just two of the tested tyres score better on rolling resistance. Safe and easily controllable both on wet and dry roads. Performs magnificently in evasive maneuvers as well as in rapid lane changes. The best braking performance in wet conditions. Low and comfortable noise level. Excellent grip and handling properities both on dry as well as on wet asphalt. Comfortable to drive. The best braking and brilliant handling in wet conditions. Also praised on the stability and comfort on dry roads. Praised for its well-balanced properties. Excellent braking and handling characteristics both on wet and dry roads. No weaknesses. Nokian zLine has top performance on wet surfaces thanks to the high grip, sporty handling and direct steering feedback. High grip, safe and predictable handling in dry conditions. Very good performance and especially praised for short braking distances on dry and wet roads. The low rolling resistance is also appreciated. Direct steering properties. Well balanced performance on both dry and wet. Nicely low noise level. Nokian Hakka Blue 2 has easy and predictable wet handling even when the tyre is pushed to the limit. Handling on dry is reliable and precise with solid grip also in the hardest maneuvers. The quietest tyre in the test with an especially low rolling resistance. Remarkably good grip and handling properties on wet roads. Also the aquaplaning resistance is brilliant. Noise and comfort are also on a really good level. Extremely good and easy handling on wet surfaces. Remarkably good aquaplaning resistance. Top performance on wet asphalt. Direct steering feedback on dry surface. Silent and low rolling resistance. Best in the test in driving and braking on wet surface. Well balanced handling both on wet and dry surface. 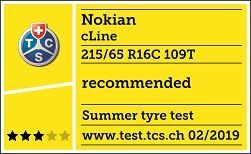 Nokian Hakka Blue is a summer tyre that performs well in all disiplines. Excellent wet braking properties and logical handling behaviour. The fastest tyre in the chicane test, praised for its maneuver in extreme situations on both wet and dry asphalt. Very good grip and handling properties on dry and wet asphalt. Precise and rapid steering response and very good economic efficiency. Balanced characteristics. Wet handling is easy and predictable. Precise and rapid steering response on dry roads. Excellent properties in wet conditions and is clearly the best in wet and dry braking. A pleasure to drive thanks to the explicit driving characteristics. Also the quietest tyre in the test. Excellent snow properties, good wet grip and low noise level. And the winner is … On snow the most comprehensive tyre is without any doubt the Nokian, very close to the performance of pure winter tyres…” “Taking into account all test criteria of the test, especially steering feedback and rolling resistance, a factor influencing fuel consumption, the Winner is the Nokian. Praised of its grip properties on ice and snow and balanced handling properties in every circumstance. Very quiet with the lowest rolling resistance in the test. Excellent on ice and snow. Easy to control on demanding winter conditions. Excellent even on dry surfaces. 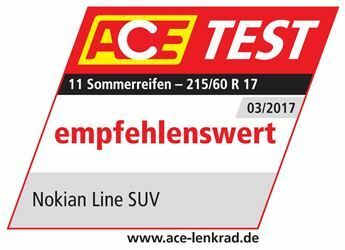 Very good level in start and braking on ice and even better on snow. In wet conditions best in test of Nordic winter tyres. Low rolling resistance and quiet. The best in the test on icy surface, both in braking and handling property results. On snow showed excellent performance, gathering the highest points. Also had the lowest rolling resistance among all tested tyres. Unusual easy to drive and calm in every difficult situations. Very low rolling resistance and quiet. Showed its strength on snow and ice, the best in the test on snow: highest points in braking, acceleration and driving properties. Also the highest score in the tests made on wet asphalt. Praised for its grip properties on ice and snow and balanced handling properties in every circumstance. 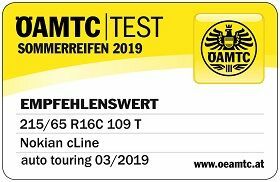 Very quiet with the lowest rolling resistance in the test. Excellent grip level both on ice and snow. Marvellous steering accuracy and handling properties. Also got the highest score in deep snow, and stated a very economic tyre. Superior grip on ice, excellent driving characteristics on ice and snow, on braking and acceleration. Economic and comfortable. Performs in a safe, predictable manner in wet conditions. Exceptionally low rolling resistance among the top competitors. Best traction and braking on snow. Good and well balanced performance on dry. Good wet braking. Very good aquaplaning properties. Unsurprising and reliable. Driving behaviour is logical and safe on wet roads, aquaplaning resistance properties are on the top level. Very low rolling resistance. Well balanced product. Performance in wet conditions is excellent and reliably safe. It is a very comfortable and silent tyre with low fuel consumption. The driving behaviour is praiseworthy peaceful and unsurprising both in dry and wet conditions. Superb grip and handling characteristics on wet surface. Assertive and secure handling properties, low rolling resistance and excellent wet grip. Safe to drive on wet roads. Manages very well to avoid aquaplaning. Low rolling resistance. Outstanding on wet asphalt. Quick steering response and very good grip even in extreme situations. Lowest rolling resistance in test which means low fuel consumption. Nokian Hakka Green 2 is a summer tyre with top performance on wet roads. It is light rolling and feels very stable and safe to drive, even in critical situations. Excellent grip and handling properties both on wet and dry asphalt. Very good comfort. Low fuel consumption. Good grip properties on dry and wet asphalt. Good controllability on wet asphalt. High resistance to impacts. Low rolling resistance. Excellent steering reactions and stability. Best braking performance of the test. Suberb handling characteristics both on wet and dry asphalt. Extremely good stability and controllability. Good grip properties on wet asphalt. Short braking distance and good handling. Balanced characteristics. The tyre excelled especially on snow but also topped the tables in both longitudinal and lateral aquaplaning tests. In both dry and wet braking, it was ranked second in the line-up. Particularly effective in the key braking test. Outstanding winter performance. Great wet performance all-round, good dry characteristics and very good rolling resistance. Behavior on ice is excellent and tyre is easy to handle. Steering is peaceful even when skidding and handling on snowy roads is exemplary. Steady and logical in extreme conditions. Tyre is quiet and rolling resistance is low. Quick acceleration on ice and snow, good braking properties. Very good grip on curve and excellent steering response. Rolling distance lowest in the test. Quick acceleration on ice and snow, good braking properties. Very good grip on curve and excellent steering response. Rolling resistance lowest in the test. The best tyre on snow and ice. The tyre scored maximum points in all tests conducted on ice. 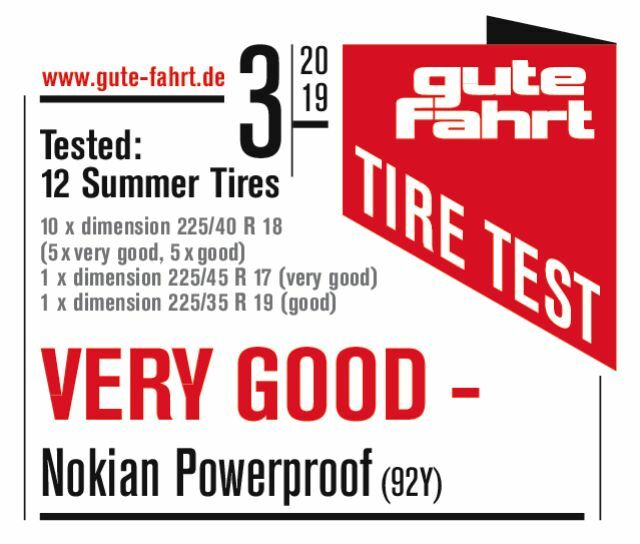 Nokian Hakkapeliitta R2 was best in braking and acceleration. Lowert rolling resistance of the test. Excellent on the ice and snow. Easy to drive on ice and retain its grip even when sliding. Lowest rolling distance in the test. Dominated the test on icy surfaces. The tyres has overall good qualities in all disciplines, resulting in a safe driving experience without suprises. Excellent grip properties on ice and snow. Grip and performance on asphalt is strong as well. Hakkapeliitta R2 is a very comfortable tyre on all surfaces. Excellent grip properties on ice and snow. The best braking properties and excellent acceleration on ice. Good stability on snow and excellent controllability on any road. Very low fuel consumption. Excellent grip on ice and snow and short braking distance on dry and wet asphalt. Good performance on dry roads. Low rolling resistance, good braking performance and safe handling on wet roads. Best wet handling and aquaplaning resistance properties. Very good lateral aquaplaning, good performance and safe. Easily controllable behaviour on wet surfaces. Stable and safe in lane changes on dry roads. Excellent on wet roads. Very good grip and stability even in extreme situations. Comfortable and quiet. Very low rolling resistance. Exemplary handling. Very good grip on wet asphalt. Lightly rolling, silent and comfortable. Balanced, excellent driving characteristics and easily controllable behaviour on wet surfaces. Precise steering response and the shortest stopping distance, both on wet and dry surfaces. The best grip on wet asphalt. Smooth driving experience. The Nokian Hakka Blue rolls lighter than the other tyres. Very stable and comfortable. The tyre has quick and precise steering response and is rigid enough to remain stable even during evasions. The shortest stopping distance both on wet and dry surfaces. 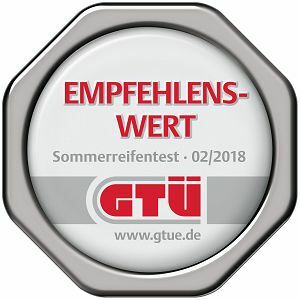 The second lowest rolling resistance in the test. High grip characteristics on all surfaces. Excellent handling properties and stability. Low noise level. Excellent stability in extreme handling situations. Precise steering characteristics. Very good grip on wet asphalt. Low fuel consumption. Excellent handling on wet asphalt. Very low rolling resistance. 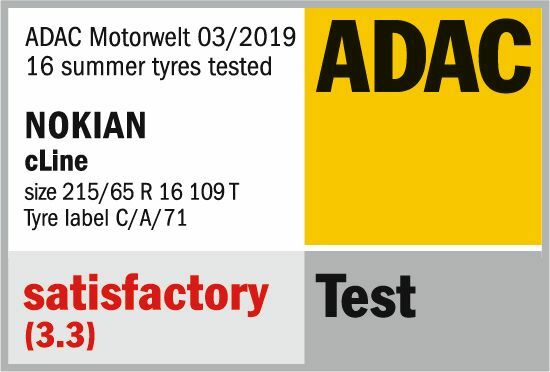 The most economical summer tyre in the test. The best grades in the test for braking on wet and dry roads. Best wet handling and aquaplaning properties. Very low rolling resistance. Best grip on wet and dry asphalt. Safe handling properties. The best tyre in the test for aquaplaning resistance. Low noise level. Maximum points in every individual subtest. Best grip on ice. Very reliable on snow, with excellent grip level. “1. 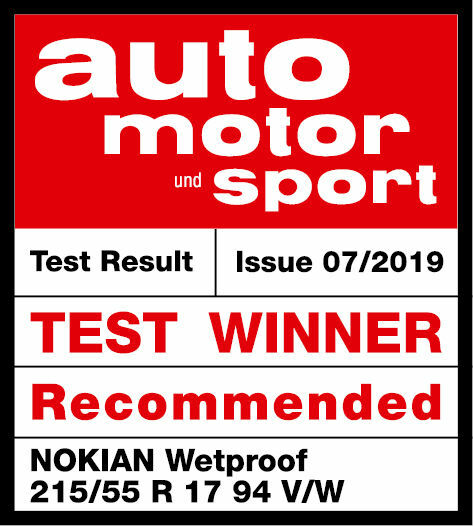 Nokian” with the best test verdict “recommendable”. 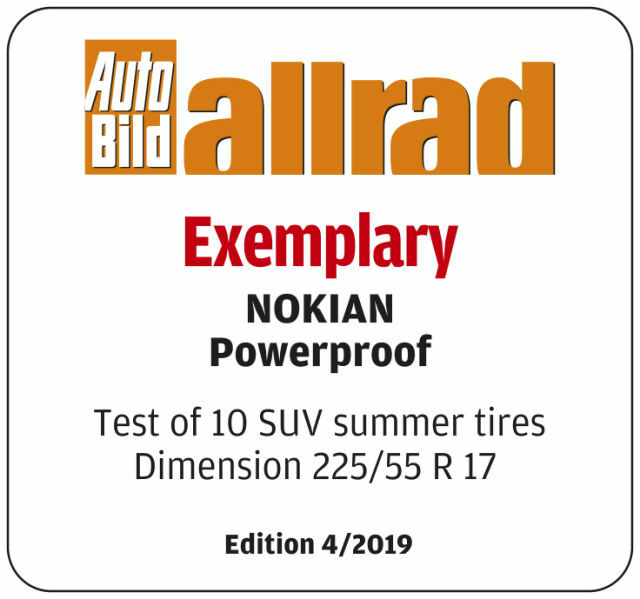 “The Nokian is absolutely recommendable for winter weather.” On top in winter conditions. The snow test result: “1. Nokian”, “Top contestant”. Very good snow braking. Cornering on snow: Nokian Weatherproof far ahead. “Superb steering feedback.” High driving precision and good combined traction out of corners. With handling in corners, Nokian Weatherproof holds the racing line. Very controllable. Surprisingly good snow traction. Good wet braking. Handling on wet roads: Nokian Weatherproof is the best. The driver can hold the curve nicely, nice neutral behaviour around corners. Shortest braking distance on dry surfaces: 3 metres less than the poorest all-season tyre. Good wear resistance. Very balanced performance characteristics on dry and wet surfaces. Top spot in all snow tests. A tyre that offers a high level of safety. Very good dry braking. Very nice neutral balance on wet. The best non-studded tyre for icy and snowy roads. Very low driving noise. The lowest rolling resistance in our test. Extremely good grip under icy and snowy conditions. Safe and logical handling behaviour both on ice and snow. Wet handling is also great. The lowest rolling resistance and fuel consumption. Lowest noise level. The best non-studded winter tyre on ice and snow. Relatively short braking distances, good traction and stability. Low rolling resistance. Logical handling and excellent grip on ice and snow. Outstanding grip on corners. Shortest braking distance on dry road, easy to drive under wet conditions. Quiet and very low rolling resistance. Unbelievably balanced and easy to drive on the snow. On ice, the tyre has outstanding lateral grip. Linear and quick steering response on dry roads. Easy to handle under wet conditions. Quiet and comfortable. The best non-studded winter tyre on ice. Best in all test segments on ice: braking, acceleration, lateral grip and handling. Lowest rolling resistance and fuel consumption. The best non-studded winter tyre for acceleration on ice. The tyre has great properties for braking, manoeuvrability and lateral grip. The lowest rolling resistance in the test. Excellently balanced and easy to control on snow. Solid grip during acceleration and braking. Superior lateral stability on ice. Well balanced and easy to control on wet asphalt as well. The steering response is quick on dry asphalt and the tyre is also stable during sudden lane changes. Good grip on snow. Lowest fuel consumption among tested studded tyres. Phenomenal grip on ice. Excellent driving properties on all surfaces. 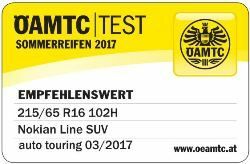 The lowest fuel consumption in the test. Excellent grip properties on ice. Handling and reliability on snowy conditions are top-class. Very comfortable tyre on all surfaces. Excellent grip on ice and snow. Good braking properties on dry asphalt. Predictable behaviour on icy and snowy roads. Sovereign grip on ice. Great handling and lateral grip properties both on icy and snowy roads. The lowest rolling resistance in the test.